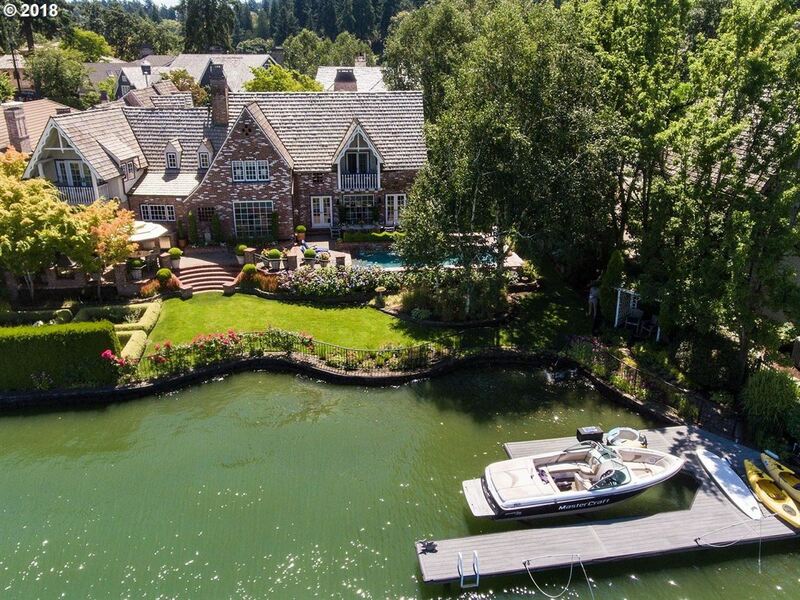 The home was built in 1930 by the Hofner family, and was one of the first homes to be a primary residence on Lake Oswego. The Hofners got the plans for the house while honeymooning in the British Isles. There has only been 3 owners since the home was built. 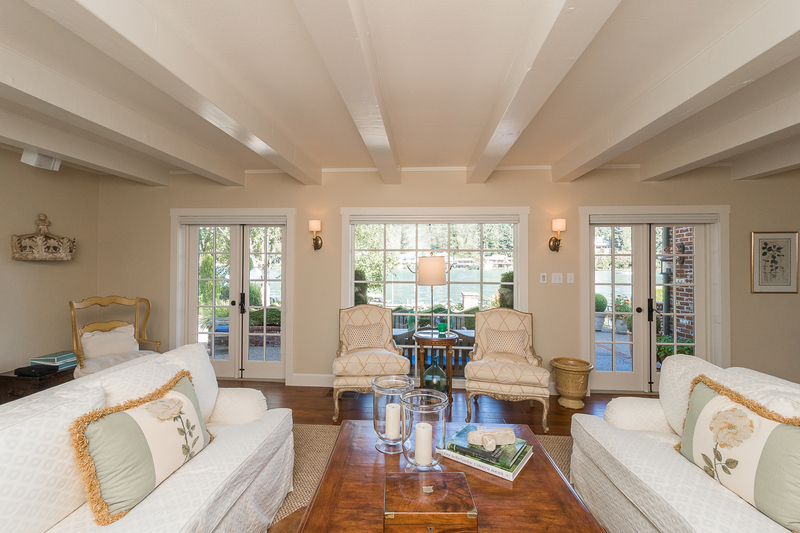 The interior has been added on and remodeled several times, but always attention to quality and details. The original owners had a German blacksmith brought to Oregon to make all of the door knobs and fixtures. 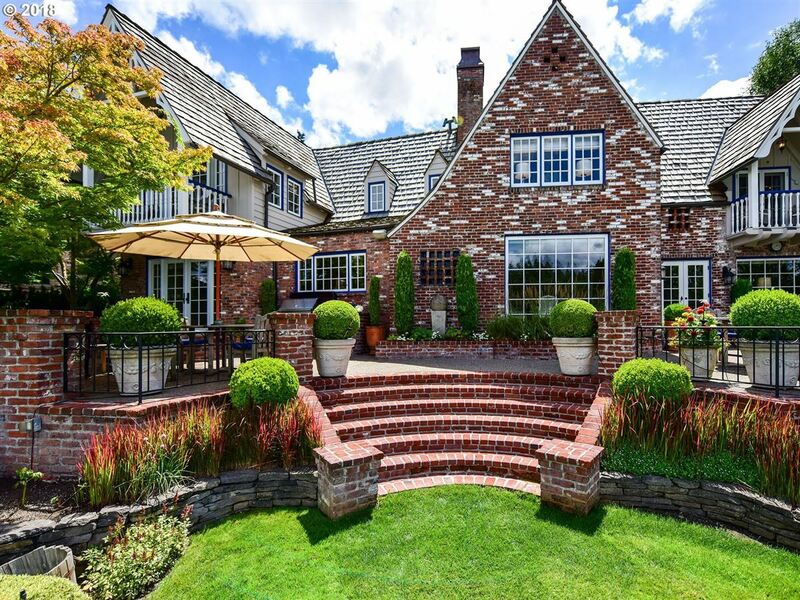 When the current owners connected the main house to the guesthouse they found old brick, so the addition would look original to the home. 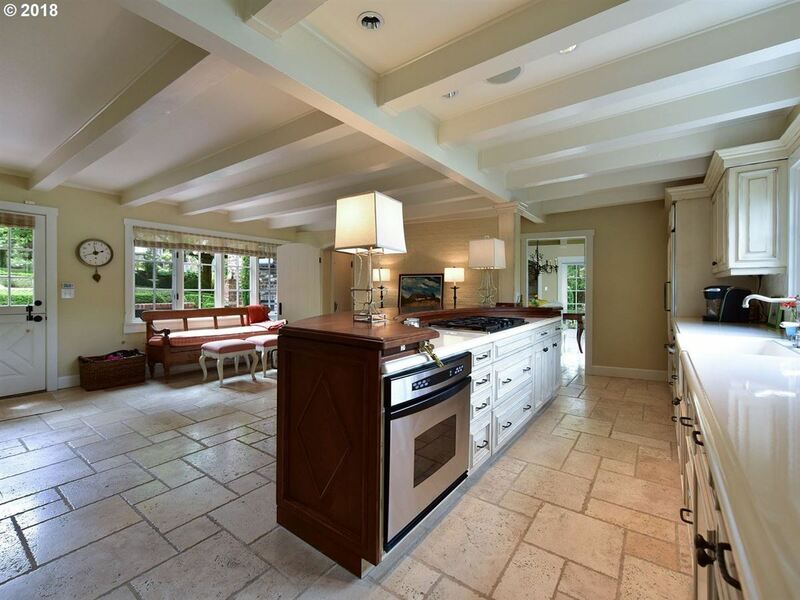 They have installed a heated tile floors in the kitchen and the kitchen has pyrolava counters, custom made in France. 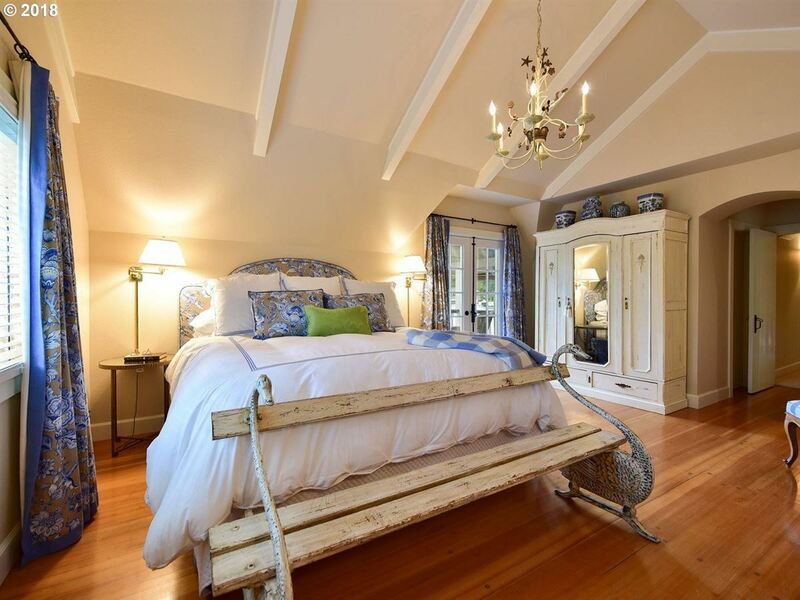 The vaulted master bedroom includes a balcony. There are four bedrooms in total. 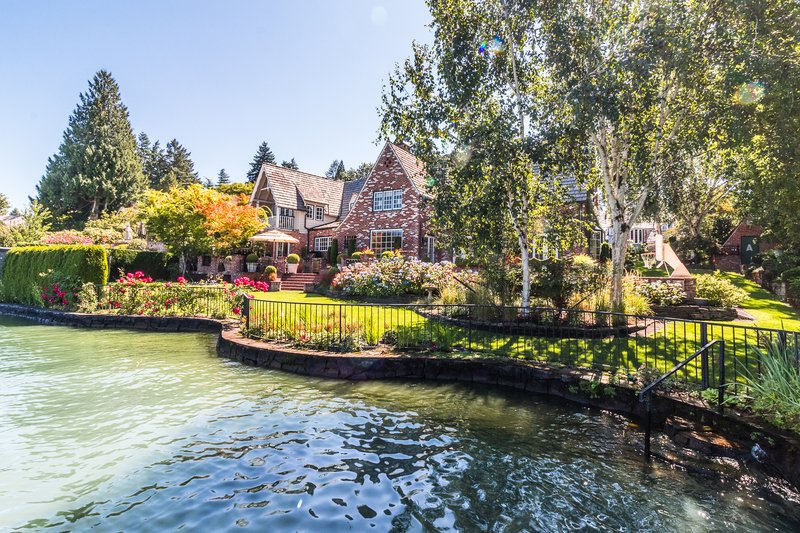 The home is crafted for lakeside recreation with a pool, hot tub, expansive brick terrace, fireplace, manicured gardens, boat lift and dock. 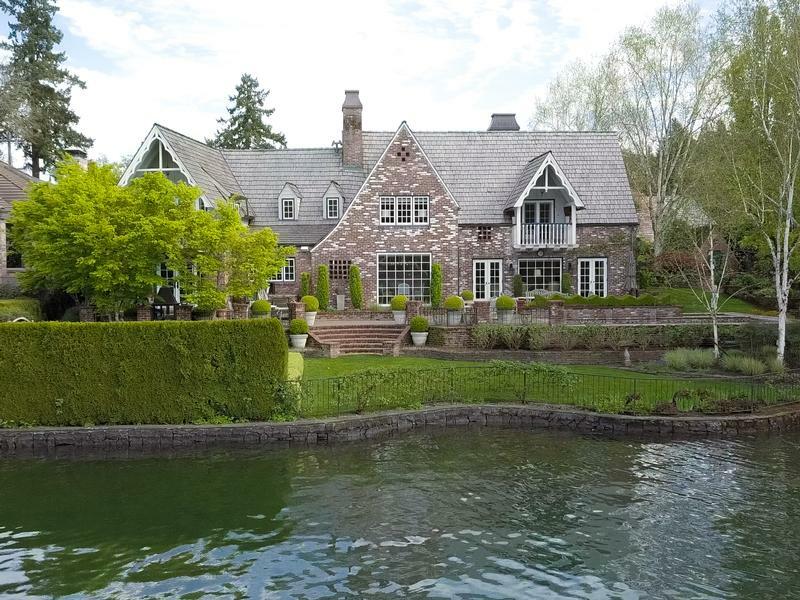 This gorgeous home was one of the first home on Lake Oswego built to be a primary residence rather than a vacation cottage. 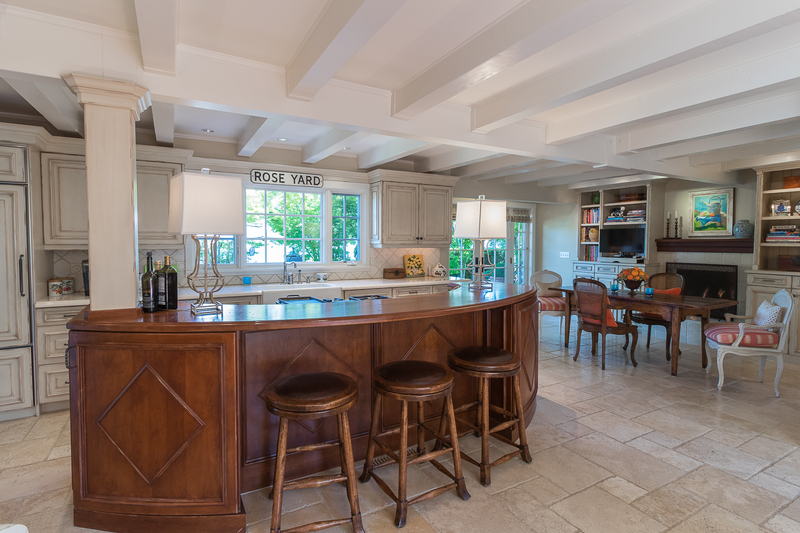 It’s like walking into a fairy tale, yet with modern updates and a floor plan that works for modern living. 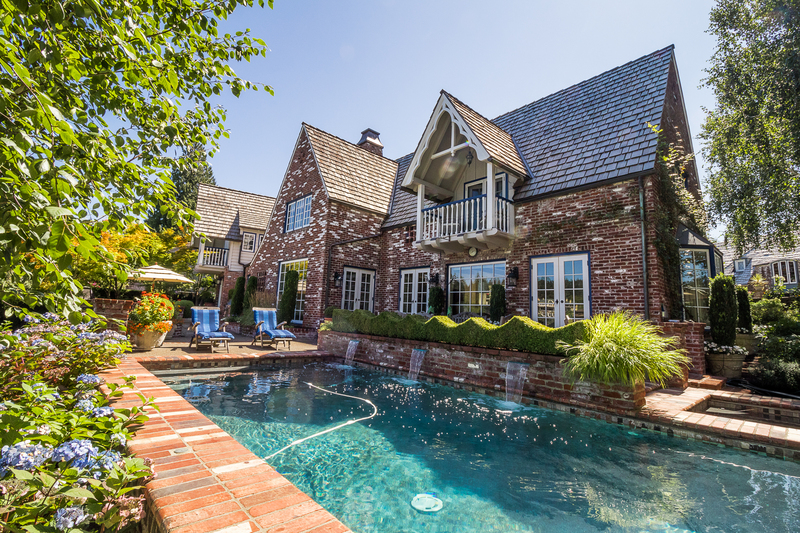 It is listed for $4.5 million with Hasson Company Realtors and is showcased by Luxury Portfolio.